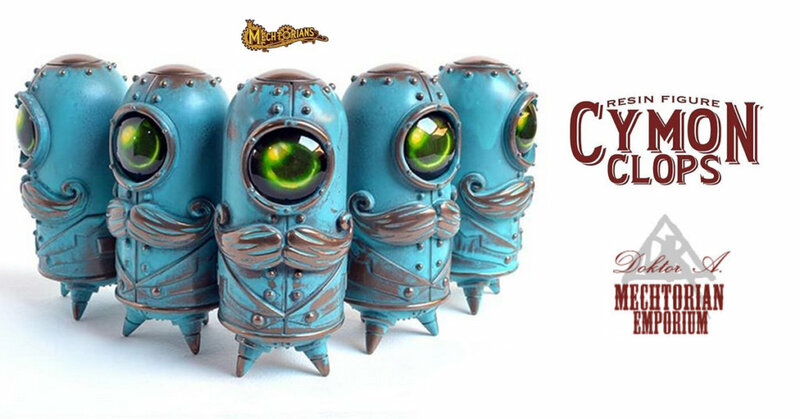 Keep an eye out at DesignerCon for Cymon Clops by Doktor A! A stamp collector and studier of really tiny things. He opted for a single eye of superior magnification than two eyes of a lower standard. This 4 inch tall resin figure with inset glass eye in the Verdigris color way will be available in an edition of 50 figures. Follow Doktor A on Facebook and Instagram more info about his latest releases.